Dell Precision M-series features 15-inch(M4700) and 17-inch(M6700) WLED IPS RBG LED display with optional multi-touch for M6700 and is powered by Intel Ivy Bridge Core i5, Core i7 and Extreme Edition processors. The Precision M-series mobile workstations comes with 32 GB of DDR3 memory and is equipped with NVIDIA Quadro K-series GPUs and AMD’s FirePro graphics series. These workstations has 512 GB SATA3 solid state drive and up to four storage devices with up to 2.8TB of total storage in RAID 0/1/5 configuration. Expansion options includes two USB 3.0, two USB 2.0, one eSATA/USB combo port, VGA and has an option for AMD FirePro M6000 with PCI-E x16 3.0 for the M6700. All thes comes in thin durable aluminium and magnesium alloy chassis. Dell Precision M4700 starts at $1649 USD, Precision M6700 starts at $2199 USD and Precision M6700 Covet starts at $3579 USD. Tags:Dell Precision M4700, Dell Precision M4700 features, Dell Precision M4700 specifications, Dell Precision M6700 review, Dell Precision M4700 details, Dell Precision M6700 availability, Dell Precision M4700 specs, Dell Precision M4700 images, Dell Precision M4700 pics, Dell Precision M6700 pictures, Dell Precision M6700 price, Dell Precision mobile workstations. Pantel Penta T-Pad features 7-inch TFT LCD capacitive touchscreen display with 800×480 pixel resolutions and is powered by 1GHz Cortex A8 processor with 512MB RAM. The Penta T-Pad runs on Android 4.0 Ice Cream Sandwich OS and has 4GB of storage which can be expandable up to 32GB with a microSD card. 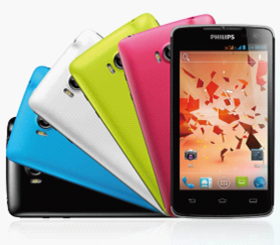 It sports 0.3MP front-facing web camera and has a battery back up of 6Hrs. 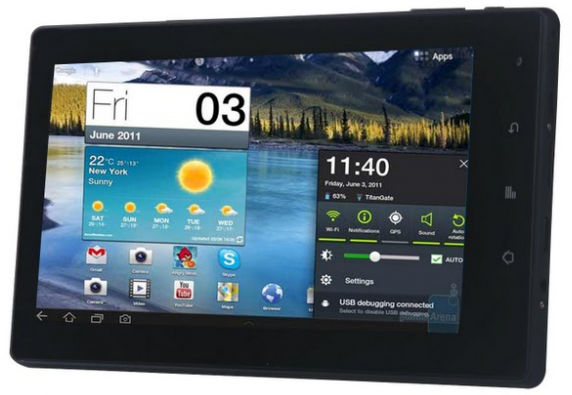 Pantel Penta T-Pad IS701C Tablet comes with a price tag of Rs. 4,999 INR. Tags:Pantel Penta T-Pad, Pantel Penta T-Pad features, Pantel Penta T-Pad specifications, Pantel Penta T-Pad review, Pantel Penta T-Pad details, Pantel Penta T-Pad availability, Pantel Penta T-Pad specs, Pantel Penta T-Pad images, Pantel Penta T-Pad pics, Pantel Penta T-Pad pictures, Pantel Penta T-Pad price. Dell XPS 13 features 13.3-inch Gorilla Glass 300 cd/m2 display with 1366 x 768 pixel resolutions and is powered by Intel Core i7 processor with 4 GB of DDR3 RAM. 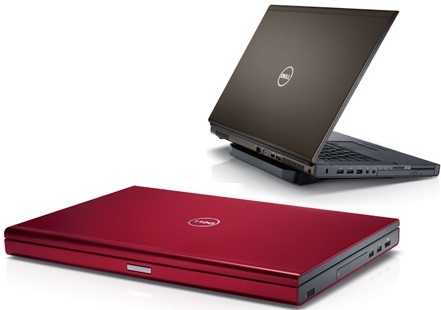 The Dell XPS 13 runs on Ubuntu Linux version 12.04 LTS OS and comes with 256GB SSD of storage. It has a battery back up of 9Hrs and weighs 1.35 kgs. The Dell XPS 13 equips 1.3 MP front-facing web camera. Connectivity options of XPS 13 includes Wi-Fi, Bluetooth 3.0, USB 3.0, USB 2.0 and MiniDisplay ports. 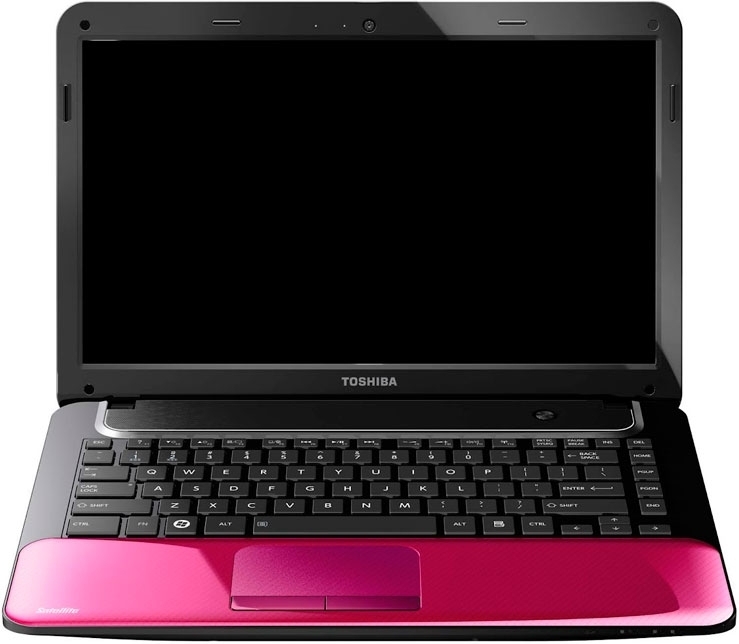 Other features includes Metal and carbon fibre chassis, 12-inch body, 3 year hardware & software warranty, Intel® HD Graphics 3000. 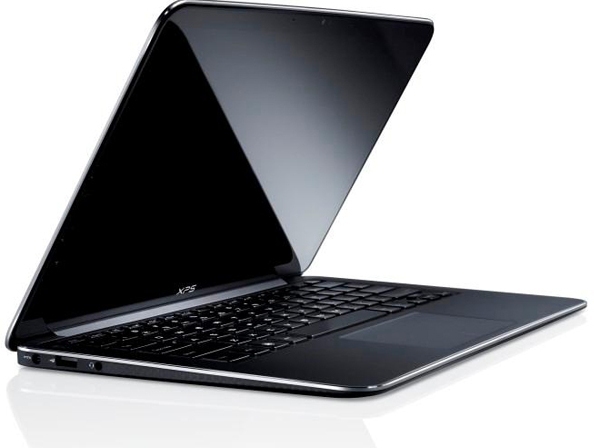 The Dell XPS 13 comes with a price tag of below $1500USD and will be available from September 2012. Tags:Dell XPS 13, Dell XPS 13 features, Dell XPS 13 specifications, Dell XPS 13 review, Dell XPS 13 details, Dell XPS 13 availability, Dell XPS 13 specs, Dell XPS 13 images, Dell XPS 13 pics, Dell XPS 13 pictures, Dell XPS 13 price. 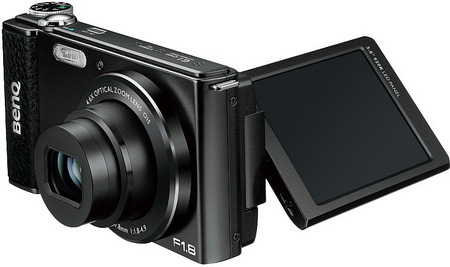 Panasonic DMC-SZ5 comes with 10x zoom and Wi-Fi 802.11 b/g/n support. The Wi-Fi allows us to control the camera using a smartphone or send photos and videos to your PC or even the most popular social networks such as Facebook. The Panasonic DMC-SZ5 comes with a 14.1 MP CCD sensor and has the LEICA lens that come with a 25-250 mm focal range and maximum aperture of F/3.1 and F/5.9. 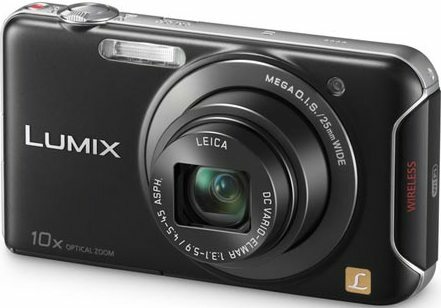 The Lumix DMC-SZ5 is able to shoot video at 1280 x 720 pixels at up to 30 frames per second and save it into MP4 format and has a rear 3" Intelligent LCD display with High Angle Mode. Extra features of DMC-SZ5 includes MEGA OIS(optical image stabilizer), Wireless Image Archiving, Intelligent Auto and Creative Effects, Lumix Club Cloud Service, HD Video with Dedicated Video Button. The Panasonic Lumix DMC-SZ5 Digital Camera comes with a price tag of $199.00 and will be available soon. Tags:Panasonic Lumix DMC-SZ5, Panasonic Lumix DMC-SZ5 features, Panasonic Lumix DMC-SZ5 specifications, Panasonic Lumix DMC-SZ5 review, Panasonic Lumix DMC-SZ5 details, Panasonic Lumix DMC-SZ5 availability, Panasonic Lumix DMC-SZ5 specs, Panasonic Lumix DMC-SZ5 images, Panasonic Lumix DMC-SZ5 pics, Panasonic Lumix DMC-SZ5 pictures, Panasonic Lumix DMC-SZ5 price. 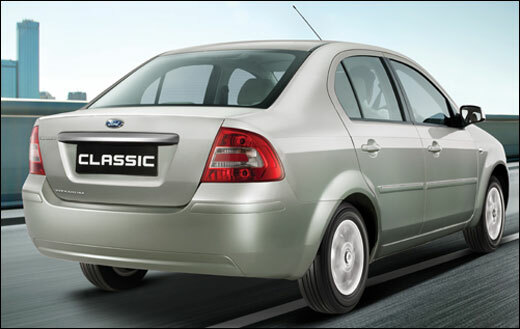 Ford Classic is a 5 seater sedan which is available both petrol and diesel models and has six variants. It comes with 5-speed manual Transmission gear box. The 1.6litre petrol 4 Cylinder In-line 16V DOHC 1596cc Duratec engine delivers a Max Power of 101PS and Max Torque of 146Nm. 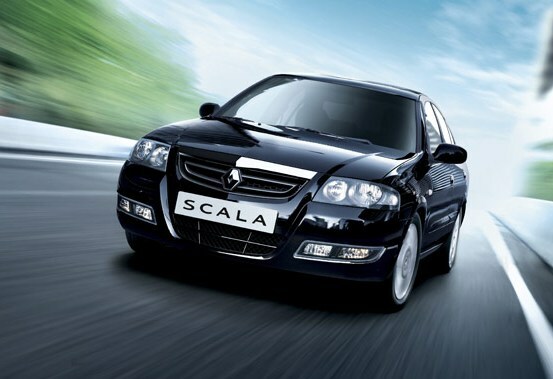 It has a fuel economy of 21.27 Kmpl in highways. 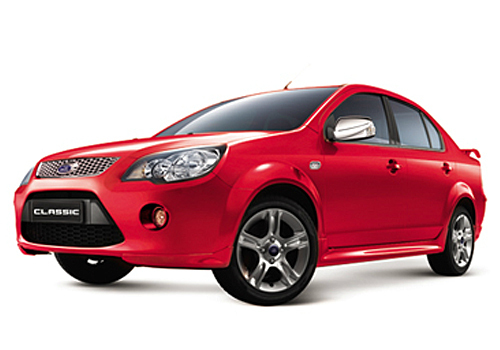 The 1.4litre diesel duratorq 1399cc engine provides a Max Power of 67bhp @4000rpm and Max Torque of 160Nm @2000rpm. It has a fuel economy of 32.38 Kmpl in highways. 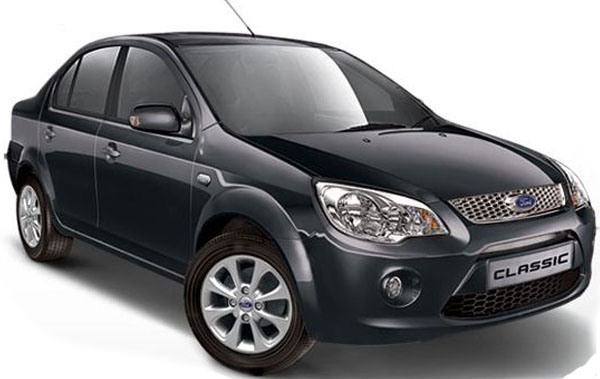 Safety features of Ford Classic 2012 includes Driver & passenger airbag, ABS with EBD, Central locking, Door reinforcements, Engine immobiliser and Reverse parking sensors. 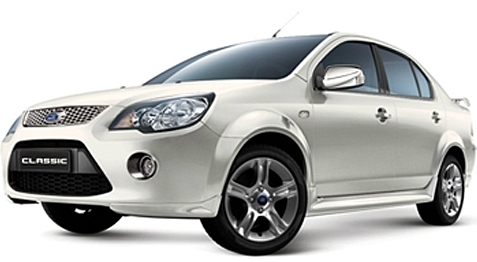 Other features of Ford Classic 2012 includes Bluetooth, speed sensing volume controls, drive away locks, all new beige interiors, alloy wheels, body-coloured ORVMs, black front grille and 45 litre Fuel tank capacity. Ford Classic color options includes – Paprika Red, Panther Black, Diamond White, Chill Metallic, Moon Dust Silver and Sea Grey. The new Ford Classic Titanium has been priced in the range of Rs 6.86 to 7.82 lakh ex-showroom New Delhi and it with a 2 year / 100,000 km warranty. Tags:- Ford Classic 2012 details, Ford Classic 2012 features, Ford Classic 2012 specs, Ford Classic 2012 launch, Ford Classic 2012 mileage, Ford Classic 2012 india price, Ford Classic 2012 india details, Ford Classic 2012 india varients price, Ford Classic 2012 variants,Ford Classic 2012 pics, Ford Classic 2012 pictures, Ford Classic 2012 images, Ford Classic 2012 trim levels. Go Tech Funtab 7.1 Fit features 7-inch capacitive 5-point touchscreen display with 800 X 480 pixel resolutions and is powered by 1GHz processor with 512MB RAM. It runs on Android v4.0.3 Ice Cream Sandwich OS and comes with 4GB of storage which can be expandable up to 32GB with a microSD card. The Funtab 7.1 Fit sports 0.3MP front-facing camera. It has a dimension of 181.5x121x10.5 mm and weighs 295gms. Connectivity and Expansion options of Funtab 7.1 Fit includes Wi-Fi , 3G, HDMI-Out, USB 2.0 with OTG support and 3.5 mm audio jack. Apps includes various health-related applications, Angry Bird, Tic Tac Toe, Solitaire, Minesweeper, etc. Other features includes Accelerometer sensor, 20 games, pre-loaded with educational content, Multiple language support, handles MS Office file formats, various Multi-media formats support. The Funtab 7.1 Fit comes with a standard Li-Ion 3,600mAh battery which provides 4 hours of movie playback and 8 hours of music playback. The Go Tech Funtab 7.1 Fit comes with a price tag of Rs. 5,999 INR. 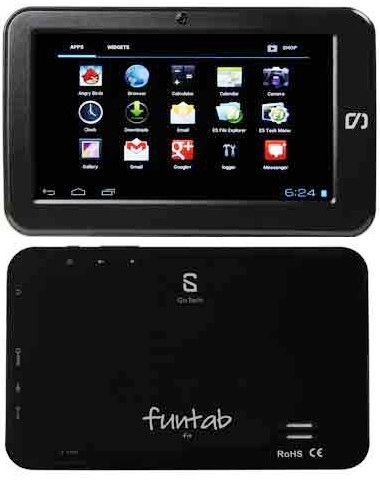 Tags:Go Tech Funtab 7.1 Fit, Go Tech Funtab 7.1 Fit features, Go Tech Funtab 7.1 Fit specifications, Go Tech Funtab 7.1 Fit review, Go Tech Funtab 7.1 Fit details, Go Tech Funtab 7.1 Fit availability, Go Tech Funtab 7.1 Fit specs, Go Tech Funtab 7.1 Fit images, Go Tech Funtab 7.1 Fit pics, Go Tech Funtab 7.1 Fit pictures, Go Tech Funtab 7.1 Fit price. Reliance 3G Tab V9A features 7-inch Capacitive TFT-LCD WSVGA 5 point touch screen display with 1024 x 600 pixel resolutions and is powered by 1.4GHz processor with 512MB RAM. 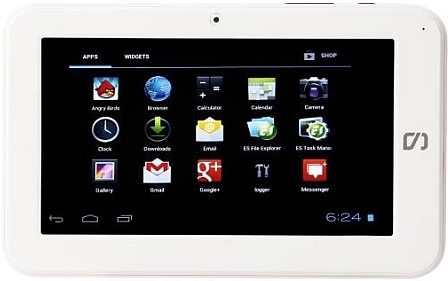 The 3G Tab V9A runs on Android 2.3 GingerBread OS and has an expandable storage of up to 32GB with a microSD card. It sports 3.0MP rear camera and 0.3MP front-facing camera. 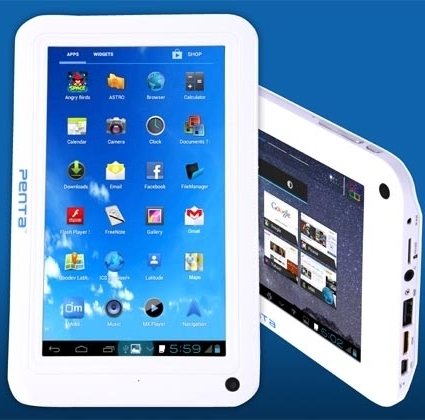 Other features of Reliance 3G Tab V9A includes 3G, WiFi 802.11b/g/n, Wi-Fi Hotspot, FM Radio, GPS Receiver, G-Sensor, Compass, Blue Tooth 2.1, offers(given below) worth Rs 6250,Free 4GB Memory card. The 3G Tab V9A comes with a standard 3400 mAh battery which delivers up-to 300Hrs of Stand-by and up-to 9Hrs talk time. It has a dimension of 92.8 x 121.8x 12.75 mm and weighs 402gms. 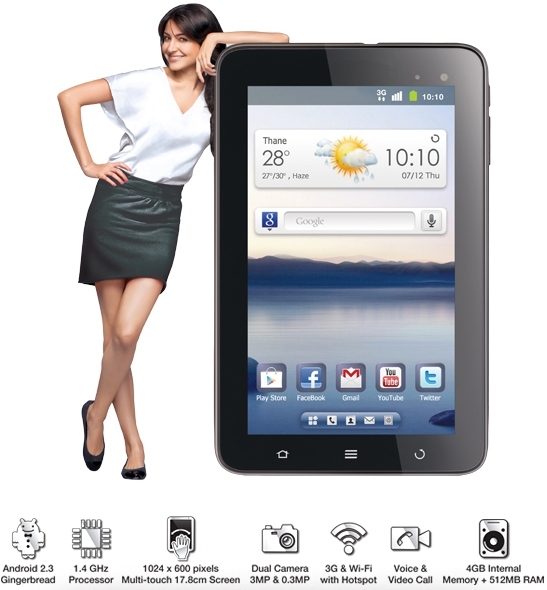 The Reliance 3G Tab V9A comes with a price tag of Rs. 14,499 INR and availabie at leading retail stores and e-commerce sites. Tags:Reliance 3G Tab V9A, Reliance 3G Tab V9A features, Reliance 3G Tab V9A specifications, Reliance 3G Tab V9A review, Reliance 3G Tab V9A details, Reliance 3G Tab V9A availability, Reliance 3G Tab V9A specs, Reliance 3G Tab V9A images, Reliance 3G Tab V9A pics, Reliance 3G Tab V9A pictures, Reliance 3G Tab V9A price. Zen UltraTab A100 features 7 inch Capacitive touch screen display with 800 x 480pixel resolutions and is powered by 1.2 GHz Dual-core processor with MALI 400 GPU and has 512MB RAM. 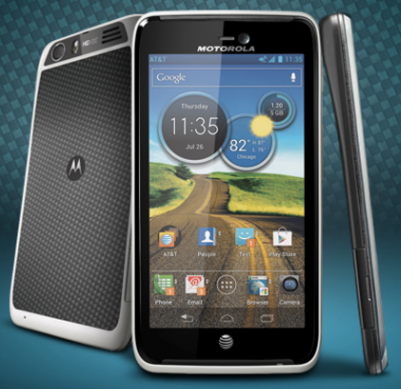 It runs on Android 4.0.3 IceCream Sandwich OS and the 4GB storage can be expandable up to 32GB with a microSD card. 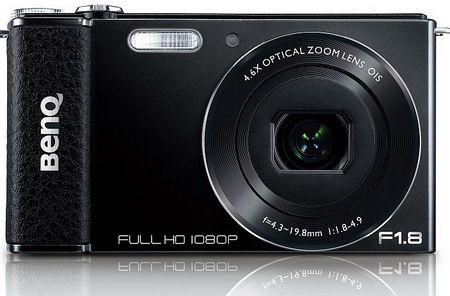 The UltraTab A100 sports 1.3MP front-facing camera with digital zoom. It comes with a standard Li-Ion 2800mAh battery which delivers up-to 14+Hrs of Web usage or 3.5Hrs of 720p video playback. Connectivity options of UltraTab A100 includes 3G (via External Dongle), WiFi 802.11 b/g/n, GPRS,EDGE, Wi-Fi hotspot,Wi-Fi Direct, Bluetooth v2.1 with ADR, micro USB and 3.5mm audio jack. It has a dimension of 181.5x121x10.5 mm and weighs 295gms. Other features includes Live Panel menu, eBook Reader, Youtube, supports Flash 10, HTML 5, Multi-format Video, Multi-format Music, Zindagi Na MilegiDobara movie and more preloaded apps(nexGTv, Live TV app,...). The Zen UltraTab A100 comes with a price tag of Rs. 5,999 INR and is availabie online @ HomeShop18 with one year waranty. Tags:Zen UltraTab A100, Zen UltraTab A100 features, Zen UltraTab A100 specifications, Zen UltraTab A100 review, Zen UltraTab A100 details, Zen UltraTab A100 availability, Zen UltraTab A100 specs, Zen UltraTab A100 images, Zen UltraTab A100 pics, Zen UltraTab A100 pictures, Zen UltraTab A100 price. 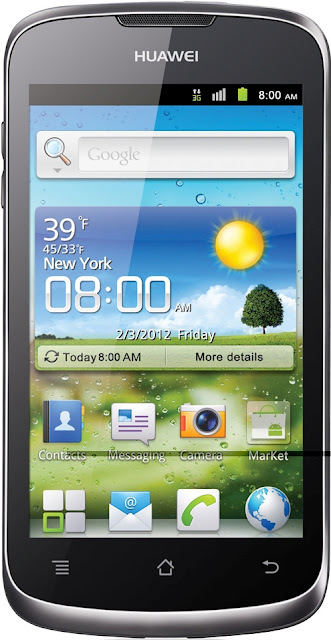 Huawei Ascend Y200 features 3.5 inch IPS LCD capacitive touchscreen display with 320 X 480 pixel resolutions and is powered by 800 MHz Qualcomm MSM7225A Snapdragon Cortex-A5 processor having Adreno 200 GPU with 256 MB RAM. The Ascend Y200 runs on Android 2.3 GingerBread OS and comes with 512MB of storage which is expandable up to 32GB with a microSD card. It sports 3.15 MP rear camera. Connectivity and Expansion options of Ascend Y200 includes 3G,WiFi 802.11 b/g/n, Bluetooth V2.1 with EDR, GPS with A-GPS, micro USB port & 3.5mm audio jack. Sensor options includes Accelerometer, proximity & compass. Ascend Y200 has a dimension of 116.9 x 60.4 x 11.7 mm and weighs 120gms. It comes with a standard Li-Ion1250mAh battery which delivers Up to 220Hrs of Stand-by and 4Hrs of talk time in 3G. 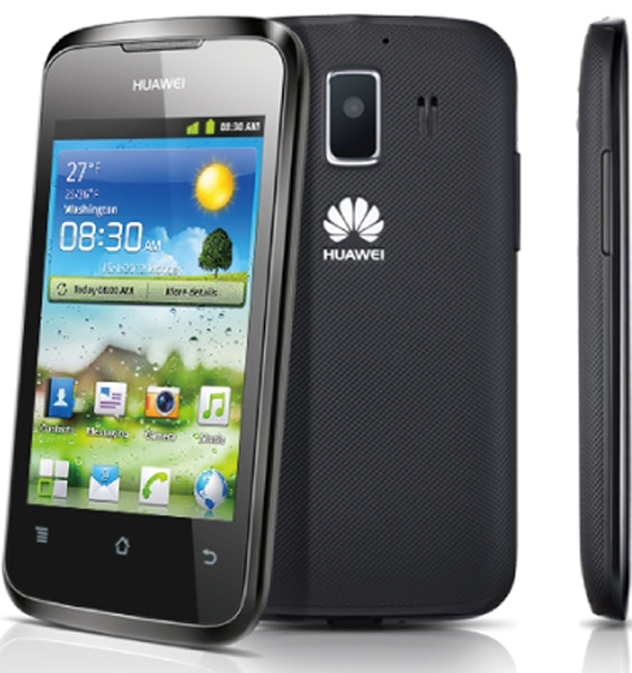 The Huawei Ascend Y200 comes with a price tag of Rs 9,490 INR and will be available soon. Tags:Huawei Ascend Y200, Huawei Ascend Y200 features, Huawei Ascend Y200 specifications, Huawei Ascend Y200 review, Huawei Ascend Y200 details, Huawei Ascend Y200 availability, Huawei Ascend Y200 specs, Huawei Ascend Y200 images, Huawei Ascend Y200 pics, Huawei Ascend Y200 pictures, Huawei Ascend Y200 price. The Micromax X44 Bling comes with Swarovski ‘Zirconia’ diamonds along the navigational D-pad of the phone. 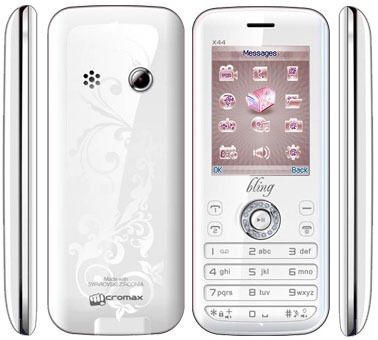 The X44 Bling features 2.2 inch QVGA display, has 256MB RAM, 512MB of storage expandable up to 8GB. It comes with a standard 950mAh battery which delivers 248 hours on stand by and 8 hours of talk time. It has a dimension of 114 X 48 X 12 mm. Micromax X44 Bling comes with a price tag of Rs 3000 INR. Tags:Micromax X44 Bling, Micromax X44 Bling features, Micromax X44 Bling specifications, Micromax X44 Bling review, Micromax X44 Bling details, Micromax X44 Bling availability, Micromax X44 Bling specs, Micromax X44 Bling images, Micromax X44 Bling pics, Micromax X44 Bling pictures, Micromax X44 Bling price. The Philips W732 Droid features 4.3-inch LCD IPS capacitive touchscreen display with 480 x 800 pixel resolutions and is powered by 1 GHz MediaTek MT6575 single-core processor with 1GB RAM. It runs on Android 4.0 IceCream Sandwich OS. Philips W732 Droid sports 5MP rear camera with flash and autofocus and weighs 166.5gms and measures 126.37 x 67.44 x 12.3mm in dimension. 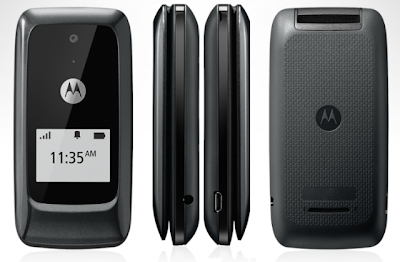 Connectivity options of W732 Droid includes 3G, Wi-Fi, Bluetooth and GPS. It comes with dual SIM slots which support hot-swapping. Color options includes pink, black, white, green and blue. The W732 Droid has a standard 2400mAh battery which delivers 13Hrs of talk time OR 10.5Hrs of web browsing. 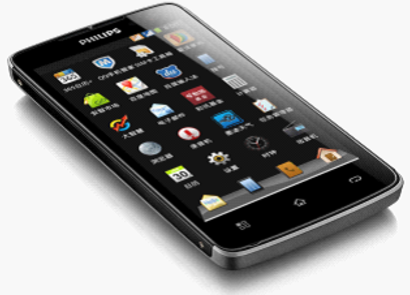 Philips W732 Droid will be availabie in China and Russia soon, currently pricing unknown. Tags:Philips W732 Droid, Philips W732 Droid features, Philips W732 Droid specifications, Philips W732 Droid review, Philips W732 Droid details, Philips W732 Droid availability, Philips W732 Droid specs, Philips W732 Droid images, Philips W732 Droid pics, Philips W732 Droid pictures, Philips W732 Droid price. BenQ G1 features F/1.8-4.9 lens along with 3-inch LCD swivel rear display with 920K pixels. BenQ G1 weighs 195gms and has a dimension of 114 x 63 x 26 mm. Expansion options includes SD/SDHC/SDXC card slot and a HDMI port. Other features includes 14-megapixel sensor, 24 mm wide-angle lens with maximum aperture of f/1.8 and 4.6x optical zoom, capable of recording 1080p Full HD video at 30 FPS. BenQ G1 comes with a price tag of €259 EUR/ $291USD. Tags:BenQ G1, BenQ G1 features, BenQ G1 specifications, BenQ G1 review, BenQ G1 details, BenQ G1 availability, BenQ G1 specs, BenQ G1 images, BenQ G1 pics, BenQ G1 pictures, BenQ G1 price. 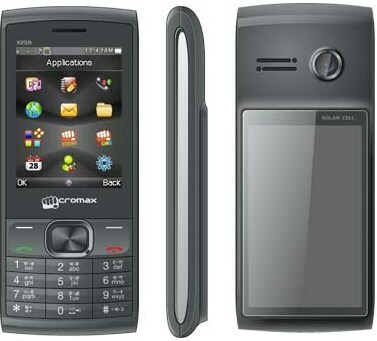 The Micromax X259 is a solar dual sim phone having a solar panel that helps in charging. This phone is mainly intended for rural areas where powercuts are a commonplace. The Micromax X259 features 2.4 inch QVGA display with 240x320 pixel resolutions and has 4GB of storage and comes with a 0.3MP rear camera. 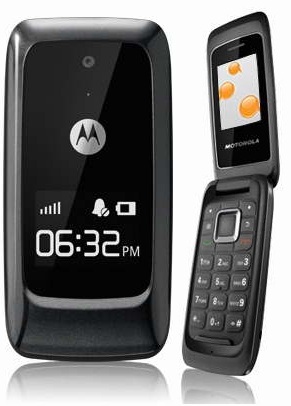 Other features includes Bluetooth, GPRS, audio and video player, FM radio with recording, Dual Sim, Mi Zone/ M-Store. The Micromax X259 also equips a standard 1000mA Li-ion battery which delivers Talk Time of 4.5 Hours and Standby Time of above 200 Hrs and has a dimension of 118mm * 50mm * 16mm. 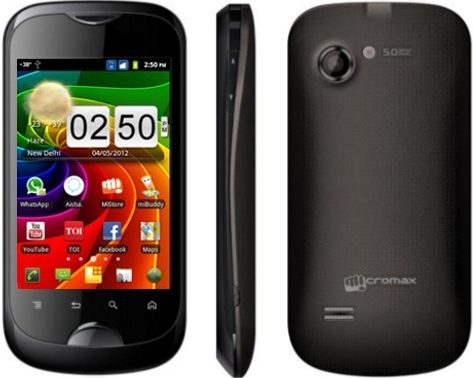 The Micromax X259 comes with a price tag of Rs.2499 INR. Tags:Dual SIM Solar phone, Solar phone, phone having Solar cell, Micromax X259, Micromax X259 features, Micromax X259 specifications, Micromax X259 review, Micromax X259 details, Micromax X259 availability, Micromax X259 specs, Micromax X259 images, Micromax X259 pics, Micromax X259 pictures, Micromax X259 price. 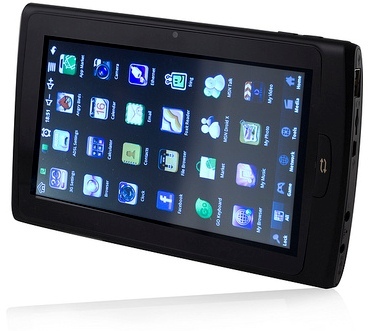 WishTel Ira Thing 2 features 7-inch multi-touch WVGA TFT display LCD touchscreen display and is powered by 1.5 GHz processor with 512MB RAM. 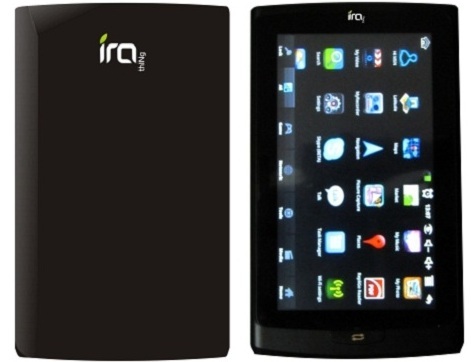 The Ira Thing 2 runs on Android 4.0 Ice Cream Sandwich OS and has a 4GB of storage expandable up to 32GB with a microSD card. The Ira Thing 2 comes with 1.3MP front-facing camera. Connectivity options includes WiFi, HDMI support, 3G Dongle support. Color options includes: black, red, yellow, pink, blue and white. The WishTel Ira Thing 2 has a standard 3000 mAh battery which delivers four hours browsing time. The WishTel Ira Thing has a price tag of Rs 6,500INR. Other features of Ira Thing 2 includes Indian language keyboard to support 14 Indian languages including Hindi, Marathi, Gujarati, Bengali, Tamil, Kannada and Malayalam, access to over 120 channels and 55 newspapers. Tags:WishTel Ira Thing 2, WishTel Ira Thing 2 features, WishTel Ira Thing 2 specifications, WishTel Ira Thing 2 review, WishTel Ira Thing 2 details, WishTel Ira Thing 2 availability, WishTel Ira Thing 2 specs, WishTel Ira Thing 2 images, WishTel Ira Thing 2 pics, WishTel Ira Thing 2 pictures, WishTel Ira Thing 2 price. 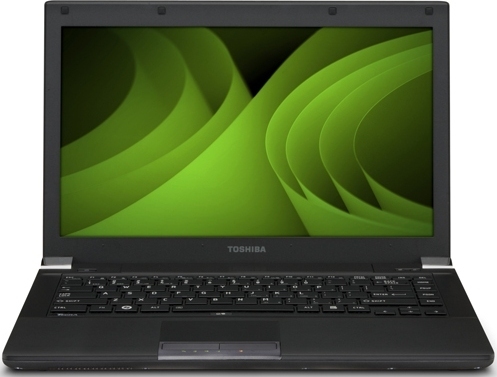 Toshiba Tecra laptops features 14-inch (R940) and 15.6-inch diagonal (R950) LED-backlit widescreen HD displays with pixel resolutions and are powered by 3rd Gen Intel Ivy Bridge processors with dedicated AMD graphics. 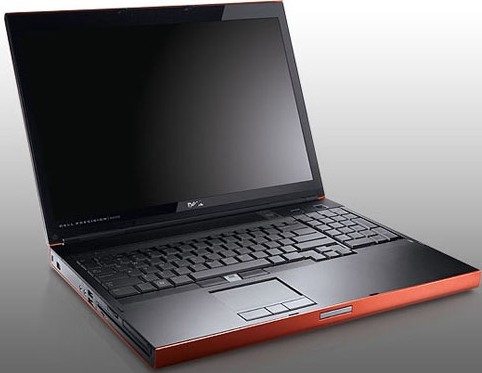 The Tecra laptops have support up to 16 GB of DDR3 RAM and comes with 512 GB SSD drives. They all together are less than 4.5 pounds. 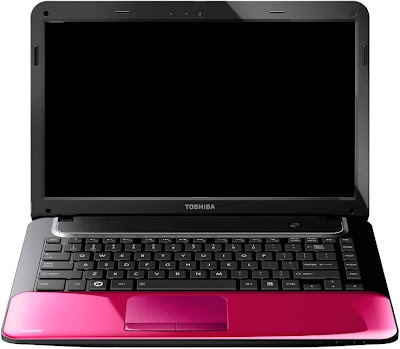 The Tecra laptops comes with a price tag starting at $599 USD onwards. Extra Offer inculdes for Businesses purchase by Aug. 30, 2012 will receive free upgrades to Windows 7 Professional and an additional 4GB memory stick for upto 100 units. 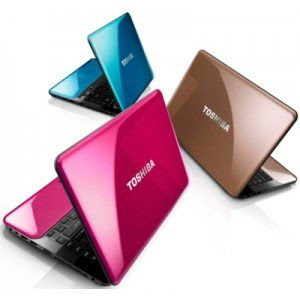 Tags:Toshiba Tecra laptops, Toshiba Tecra R950 laptop, Toshiba R940 Tecra laptop, Toshiba R950 Tecra laptop features, Toshiba R940 Tecra laptop specifications, Toshiba R950 Tecra laptop review, Toshiba R940 Tecra laptop details, Toshiba R950 Tecra laptop availability, Toshiba R940 Tecra laptop specs, Toshiba R950 Tecra laptop images, Toshiba R940 Tecra laptop pics, Toshiba R950 Tecra laptop pictures, Toshiba R940 Tecra laptop price. Karbonn A7 features 3.5-inch HVGA Multi Touch Capacitive display with 320*480 pixel resolutions and is powered by 800MHz processor with 512MB RAM. 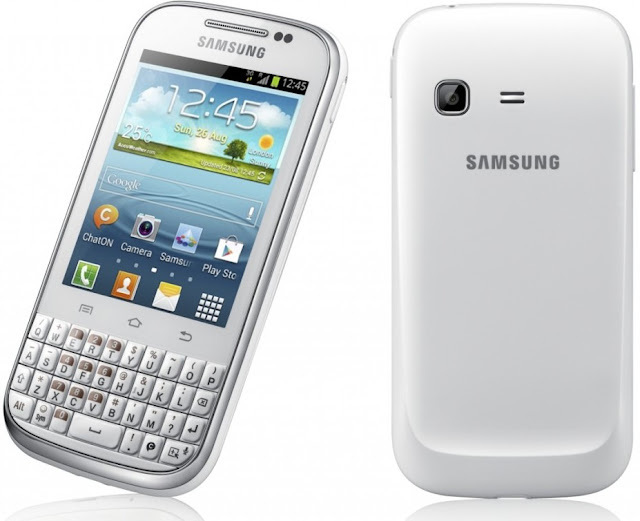 It runs on Android 2.3.6 Gingerbread OS and the storage can be expandable up to 32GB with a microSD card. Karbonn A7 sports 5MP rear camera with Dual LED and VGA front-facing camera. It comes with a standard 1420mAh Li-ion battery which provides standby time upto 100 hours and talk time upto 4 hours. Karbonn A7 comes with a price tag of Rs. 7,490INR. 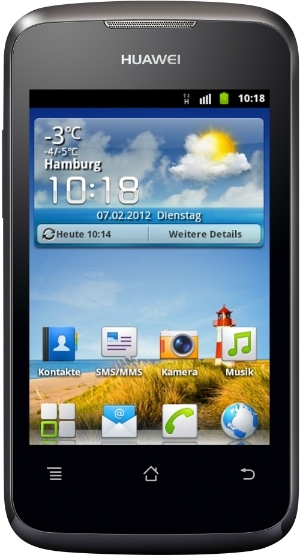 Tags:Karbonn A7, Karbonn A7 features, Karbonn A7 specifications, Karbonn A7 review, Karbonn A7 details, Karbonn A7 availability, Karbonn A7 specs, Karbonn A7 images, Karbonn A7 pics, Karbonn A7 pictures, Karbonn A7 price. Karbonn A5 features 3.5-inch HVGA Multi Touch Capacitive display with 320*480 pixel resolutions and is powered by 800MHz processor. It runs on Android 2.3.6 Gingerbread OS and the storage can be expandable up to 32GB via microSD card. 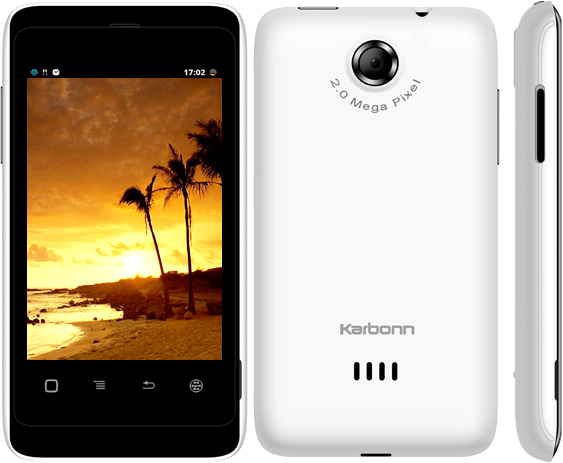 Karbonn A5 sports 2MP rear camera and it comes with a standard Li-ion 1420mAh battery. Connectivity options of Karbonn A5 includes 3G, 7.2mbps HSDPA, GPS, Wi-Fi 802.11b/g/n, Bluetooth, GPRS, EDGE. Sensor options includes G Sensor, Proximity Sensor. 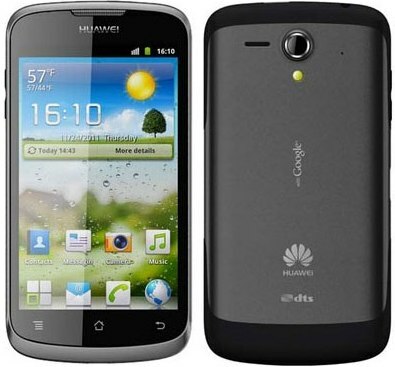 Other features includes FM Radio, Dual SIM GSM, WAP. 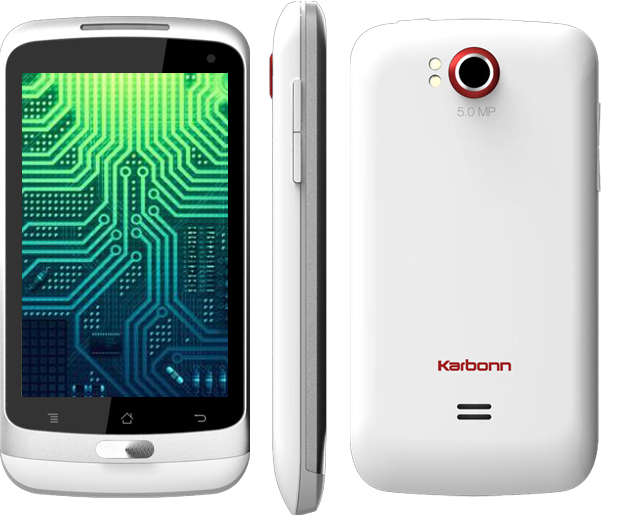 Karbonn A5 comes with a price tag of Rs. 5,790INR. Tags:Karbonn A5, Karbonn A5 features, Karbonn A5 specifications, Karbonn A5 review, Karbonn A5 details, Karbonn A5 availability, Karbonn A5 specs, Karbonn A5 images, Karbonn A5 pics, Karbonn A5 pictures, Karbonn A5 price. Karbonn A9 features 3.8-inch WVGA Multi Touch Capacitive display with 400*800 pixel resolutions and is powered by 1GHz processor with 512 MB RAM. It runs on Android 2.3 Gingerbread OS and the storage can be expandable up to 32GB with a microSD card. Karbonn A9 sports 5MP rear camera with auto focus and VGA front-facing camera. It comes with a standard 1600mAh Li-Ion battery which provides standby time upto 200 hours and talk time upto 4 hours. Connectivity options of Karbonn A9 includes 3G, 7.2mbps HSDPA, GPS, Wi-Fi 802.11b/g/n, Bluetooth, GPRS, EDGE, GPS and USB port. Sensor options includes G Sensor, Proximity Sensor, Light Sensor. Other features of A9 includes FM Radio, Dual SIM GSM, WAP, multi Video and multi audio format support. It has a dimension of 120 * 60.5 * 11.3 mm. 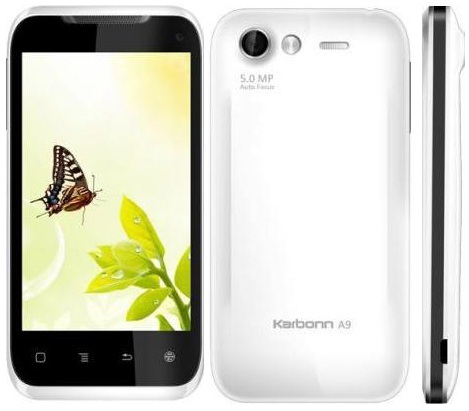 Karbonn A9 comes with a price tag of Rs. 9,490INR. Tags:Karbonn A9, Karbonn A9 features, Karbonn A9 specifications, Karbonn A9 review, Karbonn A9 details, Karbonn A9 availability, Karbonn A9 specs, Karbonn A9 images, Karbonn A9 pics, Karbonn A9 pictures, Karbonn A9 price. 2013 Elantra Fluidic comes in 1.8L petrol and 1.6L diesel engine versions. The 1.8-litre direct injected variable valve timing petrol engine delivers a peak power of 147 Bhp @ 6,500 rpm and 181 Nm of torque @ 4,500 rpm. The 1.6-litre Crdi diesel engine provides a maximum power of 126 Bhp @4000 rpm and a Max Torque of 260 Nm@1900-2750 rpm. 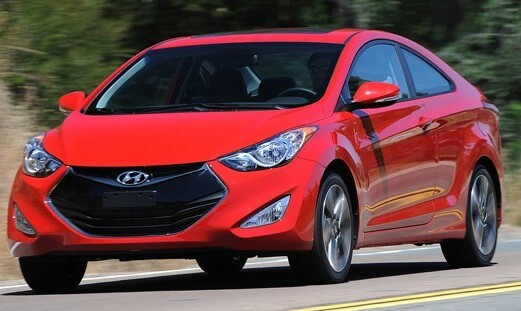 The 2013 Elantra Fluidic has 6-speed manual and automatic gear transmissions. Safety features of 2013 Elantra Fluidic includes four to six airbags, EBS, Anti-lock Braking System(ABS), Electronic StabilityProgramme(ESP), cruise control, front and rear parking sensors. Other features of 2013 Elantra Fluidic includes Heated door mirrors and steering wheel, electronically adjustable front seats with driver's seat memory function, ventilated front seats, Touch-screen infotainment system with sat-nav and Bluetooth, Panoramic sunroof, leather upholstery, Keyless entry with start/stop function, dual zone climate control and audio controls for rear seat occupants. The 2013 Hyundai Elantra Fluidic was launched on 13 August 2012 in India and has a price tag of Rs. 12.51 lakh (Ex-showroom Delhi). Tags:- 2013 Hyundai Elantra Fluidic details, 2013 Hyundai Elantra Fluidic features, 2013 Hyundai Elantra Fluidic specs, 2013 Hyundai Elantra Fluidic launch, 2013 Hyundai Elantra Fluidic mileage, 2013 Hyundai Elantra Fluidic india price, 2013 Hyundai Elantra Fluidic india details, 2013 Hyundai Elantra Fluidic india varients price, 2013 Hyundai Elantra Fluidic variants,2013 Hyundai Elantra Fluidic pics, 2013 Hyundai Elantra Fluidic pictures, 2013 Hyundai Elantra Fluidic images, 2013 Hyundai Elantra Fluidic trim levels, 2013 Hyundai Elantra Fluidic India. Karbonn Smart Tab 1 features 7 inch 5 Point multi touch display with 480×800 pixel resolutions and is powered by 1.2 GHz processor . It runs on Android 4.0.3 Ice Cream Sandwich OS and have storage expandable up to 32GB via microSD card. The Smart Tab 1 sports 2MP front-facing camera and have Color options of Silver grey back and black sides. Connectivity and Expansion options includes Wi-Fi 802.11 b/g/n, 3G, HDMI port, GPS, 3D gravity sensor for Games, 2G/3G SIM. Karbonn Smart Tab 1 comes with a standard 3700 mAH battery which claims a back up of 8 hours of video playback and 7 hours of internet. Currently available in India for a price tag of Rs.6,990 INR. 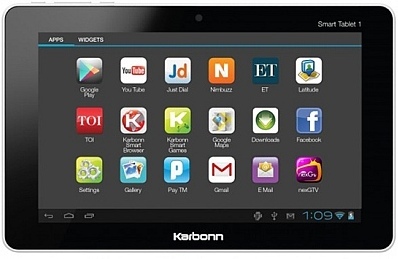 Tags:Karbonn Smart Tab 1, Karbonn Smart Tab 1 features, Karbonn Smart Tab 1 specifications, Karbonn Smart Tab 1 review, Karbonn Smart Tab 1 details, Karbonn Smart Tab 1 availability, Karbonn Smart Tab 1 specs, Karbonn Smart Tab 1 images, Karbonn Smart Tab 1 pics, Karbonn Smart Tab 1 pictures, Karbonn Smart Tab 1 price. The Medion LifeTab S9512 features 9.7-inch IPS multitouch display with 1024 x 768 pixel resolutions and is powered by 1GHz SoC Texas Instrument dual-core processor. 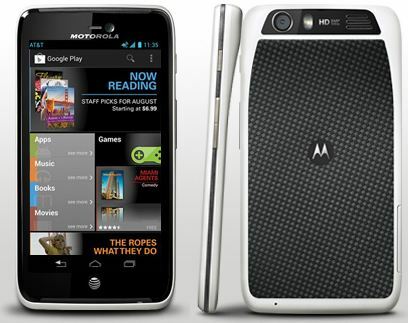 It runs on Android 4.0 Ice Cream Sandwich OS and comes with 16GB of storage expandable up to 32GB with a microSD card. The LifeTab S9512 sports 1.3MP front-facing camera. Other features 802.11n Wi-Fi, USB 2.0, SRS sound system, dual loudspeaker & subwoofers. LifeTab S9512 comes with a Li-polymer standard battery which claims a back up of 10 hours. It weighs 580gms and measures 8.9 mm thick. 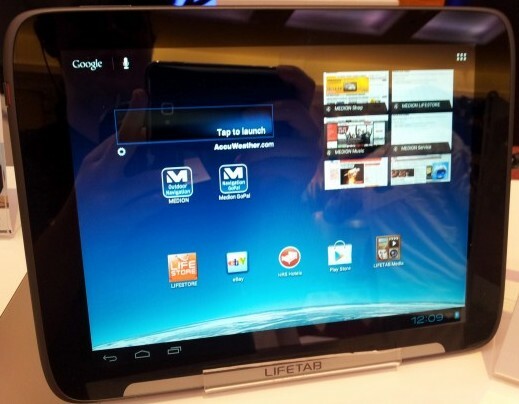 LifeTab S9512 will be availabie in Europian markets by mid July 2012 with a price tag of € 329 EUR. Tags:Medion LifeTab S9512, Medion LifeTab S9512 features, Medion LifeTab S9512 specifications, Medion LifeTab S9512 review, Medion LifeTab S9512 details, Medion LifeTab S9512 availability, Medion LifeTab S9512 specs, Medion LifeTab S9512 images, Medion LifeTab S9512 pics, Medion LifeTab S9512 pictures, Medion LifeTab S9512 price. The MSI slider S20 features 11.6-inch touchscreen display with 10-point multi-touch support and is powered by Intel Ivy Bridge i3/i5 processor with 4GB DDR3 RAM. 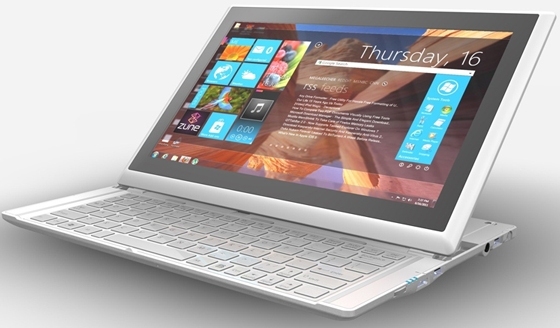 It runs on Windows 8 OS and comes with 64GB /128GB SSD of storage. Connectivity & expansion options includes Wi-Fi, Bluetooth 4.0, Gigabit LAN, USB 3.0, HDMI and a QWERTY keyboard. The MSI slider S20 weighs 2.64 pounds (1.2 Kgs) and measures 0.65 inches(20 mm) thick. The MSI slider S20 will be available from October 2012 and will cost $800USD in North America and €800EUR in Europe. Tags: convertible ultrabook, MSI slider S20, MSI slider S20 features, MSI slider S20 specifications, MSI slider S20 review, MSI slider S20 details, MSI slider S20 availability, MSI slider S20 specs, MSI slider S20 images, MSI slider S20 pics, MSI slider S20 pictures, MSI slider S20 price. Zync Z999 Plus features 7 inch LED TFT capacitive scratch-resistant touchscreen display with 800×480 pixel resolutions, powered by 1.5 GHz ARM Cortex A8 processor with 512MB RAM. 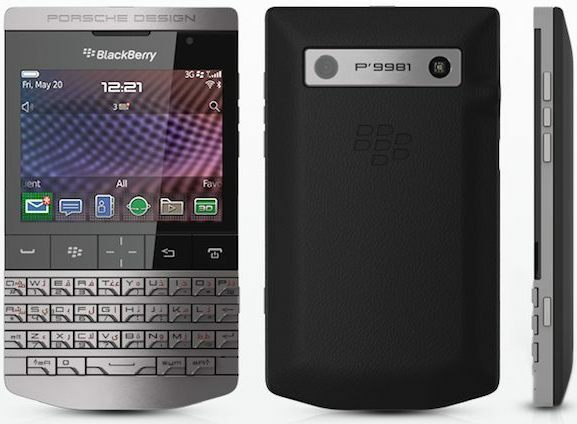 The Z999 Plus runs on Android 4.0 IceCreamSandwich OS and has 8GB of storage which can be expandable up to 32GB via microSD card. Zync Z999 Plus sports 2MP rear camera and 0.3MP front-facing camera. It comes with a standard 4200 mAh Li-ion battery, weighs 340 gms and measures 8mm thickness. Connectivity options of Zync Z999 Plus includes 3G via on-board SIM card slot, Wi-Fi 802.11n, HDMI port , Micro USB port, 3.5 mm audio jack and microphone. Other features includes Muli-format (MP4/MPEG/ MP3/WAV/WMA ) media player, Document editor, Image editor, Flash support, optional keyboard support. 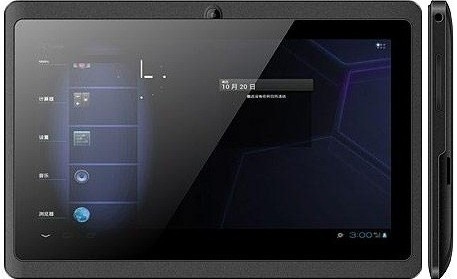 The Zync Z-999 plus tablet is priced at Rs. 11,990INR and is available in India with a one year warranty. 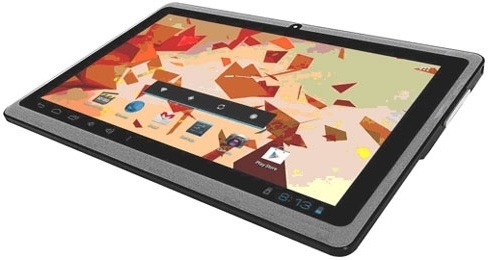 Tags:Zync Z999 Plus Tablet, Zync Z999 Plus Tablet features, Zync Z999 Plus Tablet specifications, Zync Z999 Plus Tablet review, Zync Z999 Plus Tablet details, Zync Z999 Plus Tablet availability, Zync Z999 Plus Tablet specs, Zync Z999 Plus Tablet images, Zync Z999 Plus Tablet pics, Zync Z999 Plus Tablet pictures, Zync Z999 Plus Tablet price.